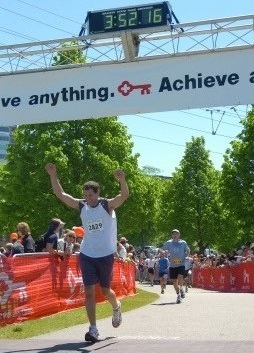 Crossing my first finish line, that feeling is addicting! Easy to talk to, will have a fun race as well as hopefully a PR for someone as well. Train hard and then overcome the mental side of it which is a big part of running. as Yogi Berra once said “half this game is 90% mental” he was talking about baseball but still.. I Cannot wait for my next marathon. Volunteer for the special Olympics, basketball coach.